This Spinach Feta Pasta Salad is one of my most-requested recipes! It’s one of our family favorites and we enjoy it year round. How do you get my kids to eat cooked spinach? 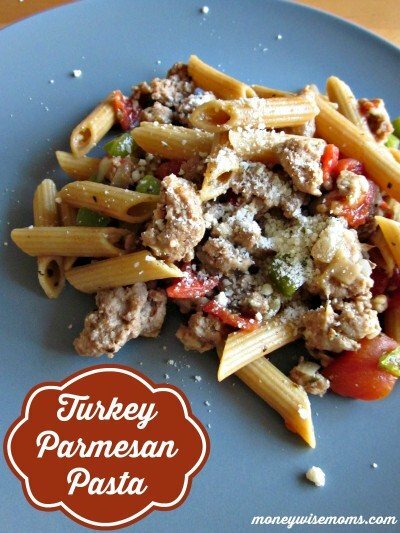 Serve it with their favorite things–pasta, cheese, and olives–and they’ll be happy. My three love this easy spinach feta pasta salad. This recipe is so easy to pull together. This is my go-to for potlucks and parties, using whatever pasta I have on hand. This pasta salad is easily made gluten-free. Just substitute GF pasta and make sure the Italian dressing is safe as well. 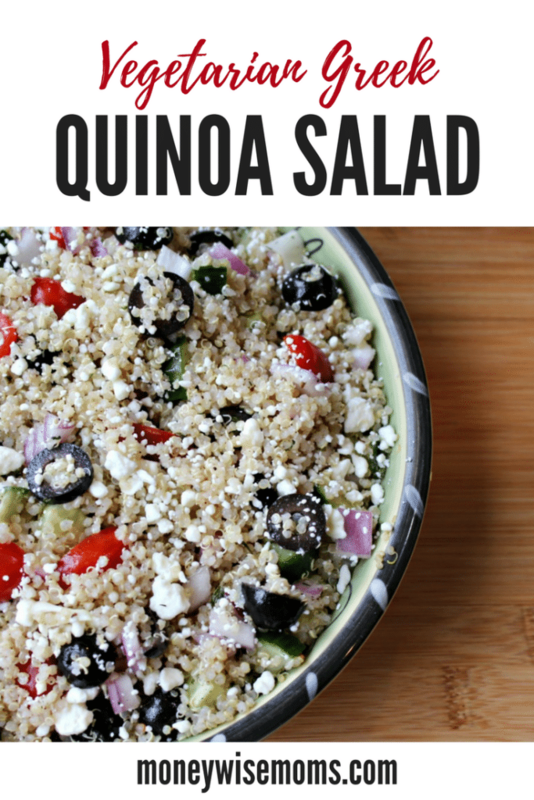 This recipe is so adaptable! Add another vegetable that your family likes or add some cut up cooked chicken to make it heartier. Cook the pasta to al dente. At the end of the cooking time, tear the spinach into pieces and throw into the cooking water to wilt. Drain pasta/spinach in a colander, and put back into the pot (removed from heat). Add Italian dressing and stir to coat. Add chopped tomatoes, sliced olives, and garbanzo beans. You can choose to toss the feta into the warm salad (it will melt a bit) or serve it on top as a garnish. 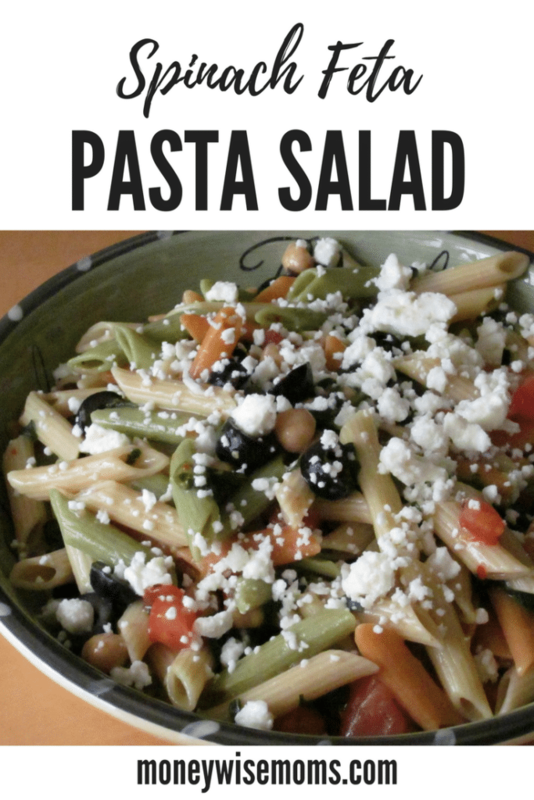 Pasta salads are so versatile and a great thing to know how to make for easy family dinners. Keep a few in your meal planning rotation. 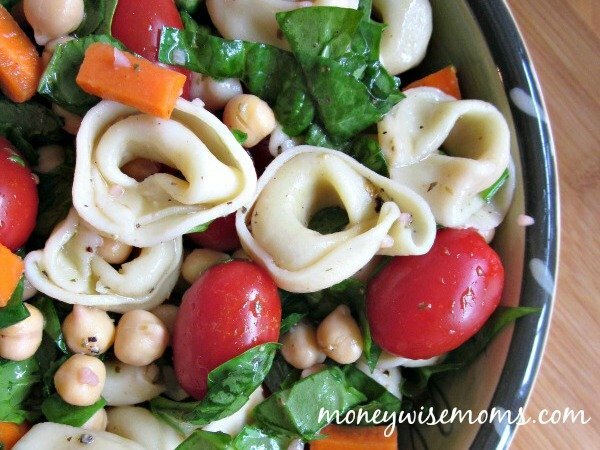 Another of our faves is Tortellini Chickpea Pasta Salad, another vegetarian dinner. Looking for more easy family meals? 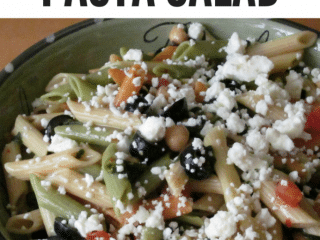 This Spinach Feta Pasta Salad recipe is linked up to Friday Favorites at Simply Sweet Home, MomTrends Recipe Linkup, Feasting in Fellowship Friday at Comfy in the Kitchen, and Life as Mom’s Ultimate Recipe Swap. love all your ideas, saw you on t.v. last nite 06032012. thank you for info. Learned about coupons and sales..